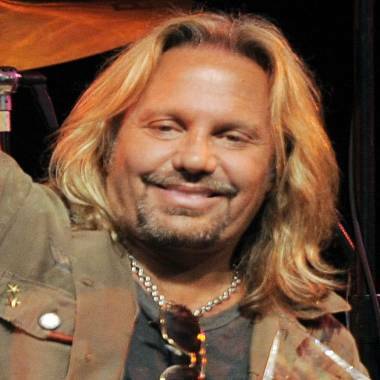 Mötley Crüe were forced to cut short their concert in Sydney on Sunday night when singer Vince Neil was hospitalized for a kidney stone attack. According to Setlist.fm, the band was nine songs into their set when Nikki Sixx announced that Neil had been in pain throughout the show and needed to be taken to the hospital. Guitarist Mick Mars later apologized for the interruption on Twitter and explained the trouble with his bandmate's kidneys. "He has been having problems for the last few days with kidney stones," the band's manager, Allen Kovac, told CNN. "He was treated at the hospital after the show. It's the middle of the night there, and we will know more later." Kovac, who called the 52-year-old singer a "warrior," said that the band is still planning to perform as scheduled on Tuesday in Brisbane. "If there is a way to safely perform, [Neil] always does," he said. "In nearly 20 years of managing Motley Crue, I can't recall a show the band has canceled."